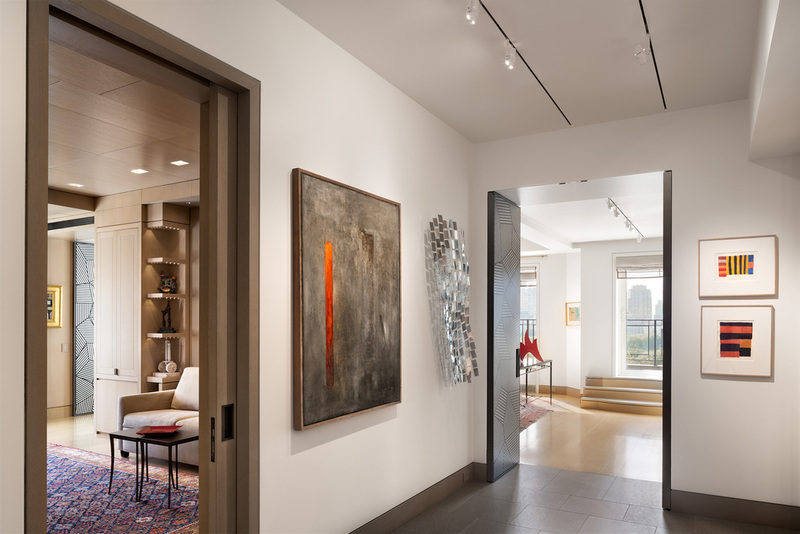 This total renovation of an art collector's Fifth Avenue apartment created a warm, elegant setting for modern and contemporary painting and sculpture. 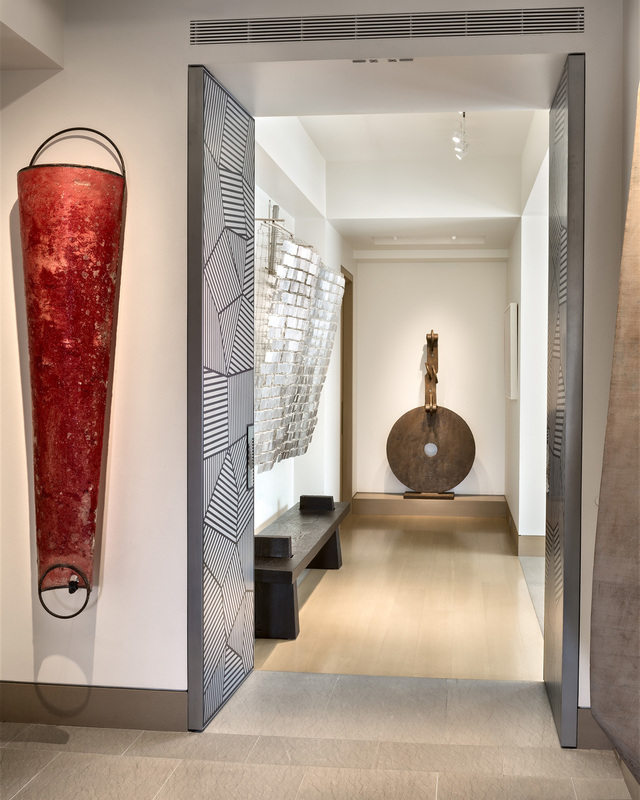 Walls were removed and doorways added to create a gracious flow of space and bring in abundant daylight at all times of the day. 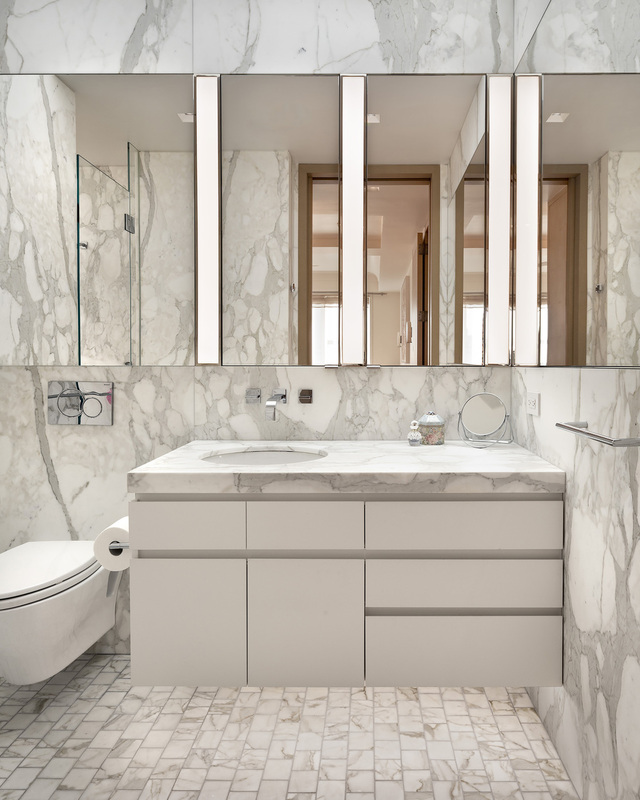 All new air conditioning, plumbing and electrical were relocated and consolidated to maximize ceiling heights. All new window glass has laminated lites for UV and security and asymmetrical glass types for sound proofing. 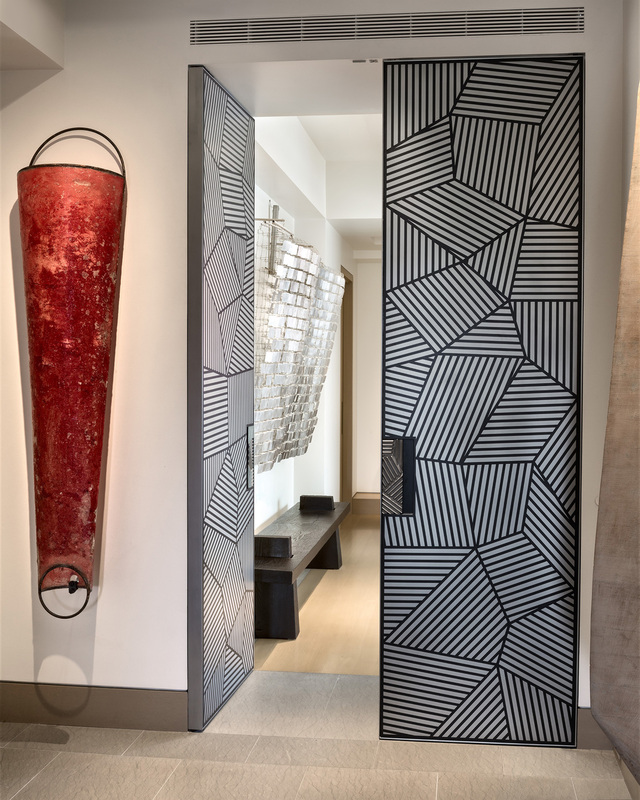 A distinctive feature of the apartment is our design for three sets of monumental ebonized French doors with inlaid nickel silver.